Stephanie Masapollo was 10 years old when Hurricane Sandy struck the coast of New Jersey in late October 2012. As a result of the devastating damage, specifically to the state’s shore, Gov. Christie postponed Halloween to the following Monday, Nov. 4. Upset that her favorite holiday was being pushed back, the elementary student quickly realized many kids throughout the state would not be trick-or-treating at all. In an effort to spread happiness and joy to those children in need, Masapollo created the Costumes for Kids charity, collecting used or new costumes to distribute to families, organizations and schools throughout the region. What began as a collection for victims of Hurricane Sandy five years ago has annually grown to reach children throughout the tri-county area. 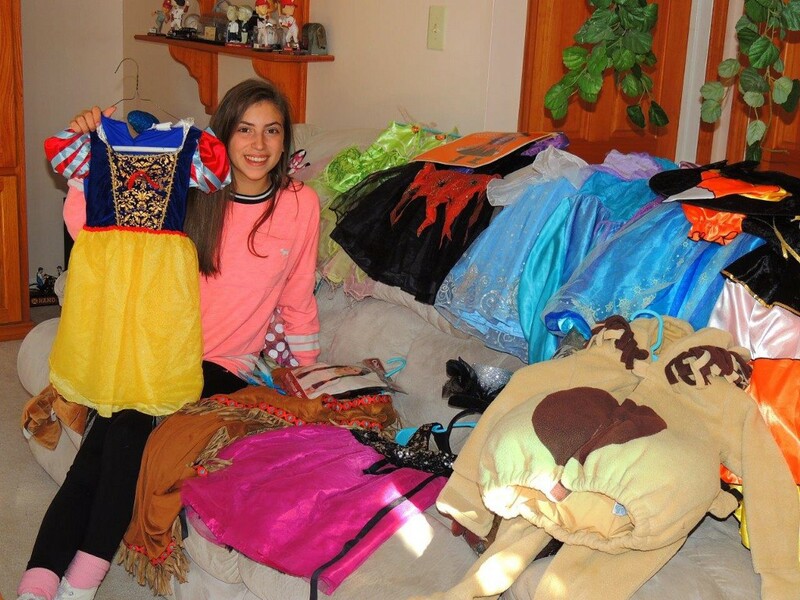 According to Masapollo, a sophomore at Washington Township High School, the charity collected almost 1,000 costumes last year, a collection worth more than $20,000. This year, she hopes to collect even more with a goal of 1,200. Collection bins are located throughout town at Kadar Orthodontics, St. Charles Borromeo Parish, Saints Peter and Paul Catholic Church and Cordasco Financial. At this time, Costumes for Kids does not accept monetary donations. Partnered with Blackwood nonprofit The Unforgotten Haven, Costumes for Kids distributes the costumes to local classrooms, churches as well as children and families in Camden and the surrounding region. On Saturday, Oct. 28, Masapollo and her parents will be assisting families in need of Halloween costumes at The Unforgotten Haven from 10 a.m. to 2 p.m. Costumes will continue to be collected through the first week of November to allow donations to be made after this year’s holiday festivities, which will then be sorted and stored for next year’s distribution. For more information on Costumes for Kids or how to donate, visit www.stephrosesings.com/cfk.html.